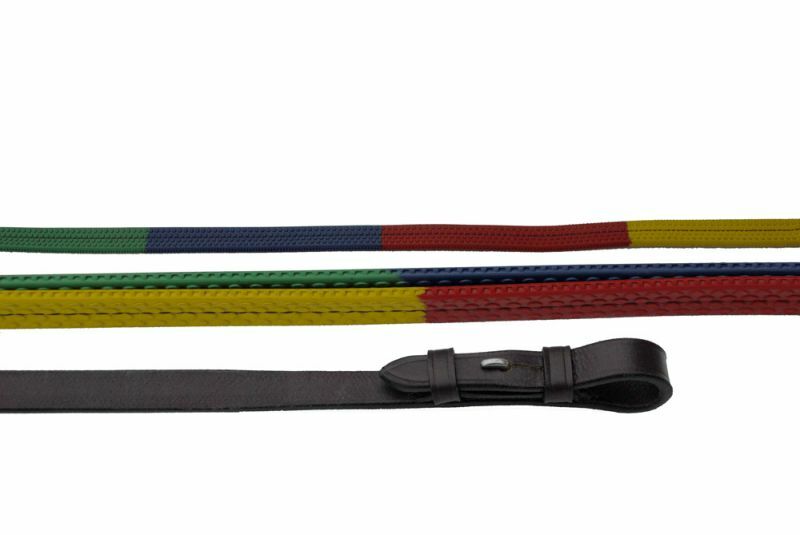 Economy leather reins with a multi-coloured rubber grip provides a visual aid for correcting rein length. The perfect rein for the beginner rider. 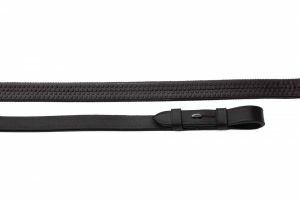 Easy on/off with buckle bit ends.